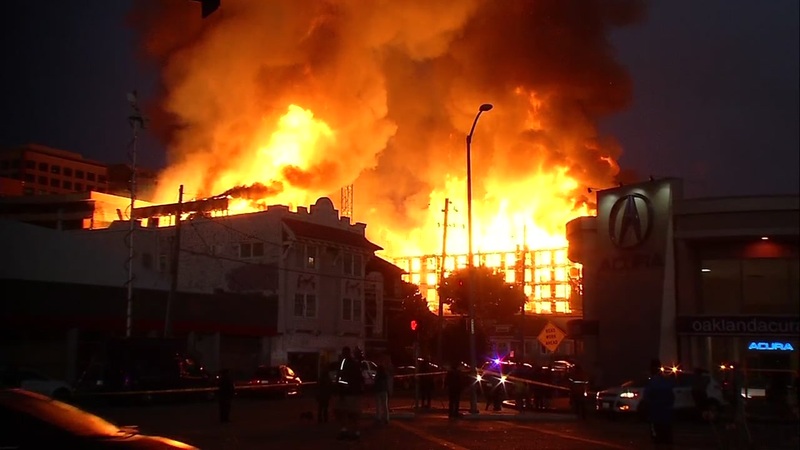 OAKLAND, Calif. -- Firefighters are battling a 4-alarm fire at 24th and Valdez Street at a building under construction in Uptown Oakland. The fire is burning on a construction site near the Whole Foods and an Acura dealership. People nearby are being evacuated. Stay with ABC7 News on air and online for the latest details.